Sometimes a letter – a good old-fashioned “paper letter” as a friend of mine calls them – lands on your desk and makes you smile. This was one such. 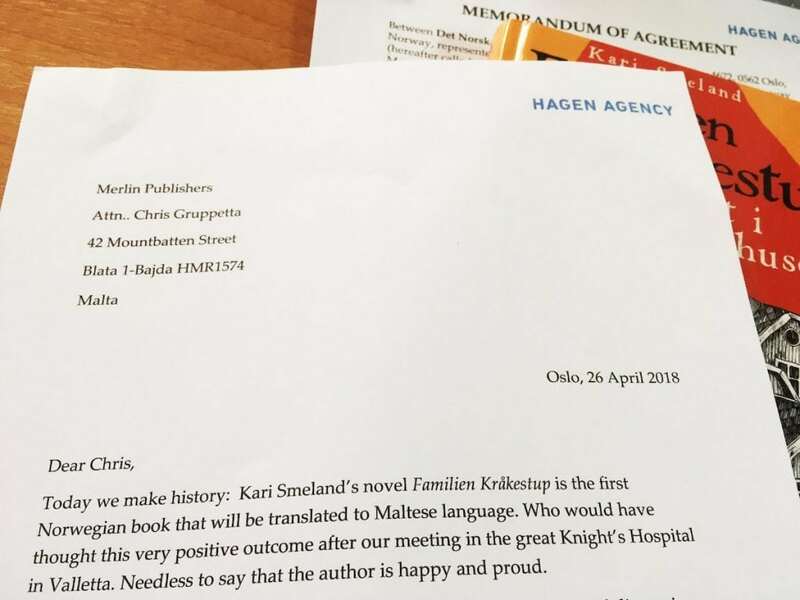 Today we make history: Kari Smeland’s novel ‘Familien Krakestup’ is the first Norwegian book that will be translated to the Maltese language. A few months ago, meeting during a particularly über-chaotic afternoon at the Malta Book Festival, literary agent Eirin Hagen must have thought me bonkers. 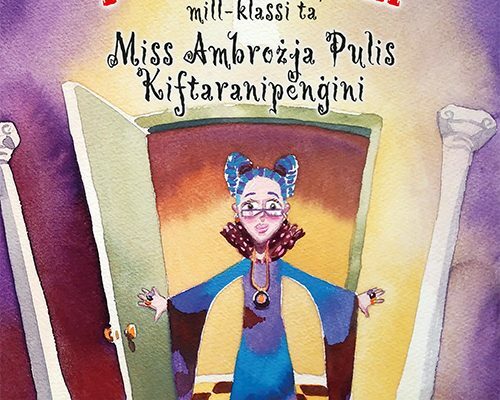 Yet since then, we’ve had occasion to sift through some of the exciting Norwegian children’s literature titles she represents and select one that, I think, will resonate with Maltese children. Our “tester” readers who’ve read a working translation, have reported back that they absolutely loved it and wanted more! 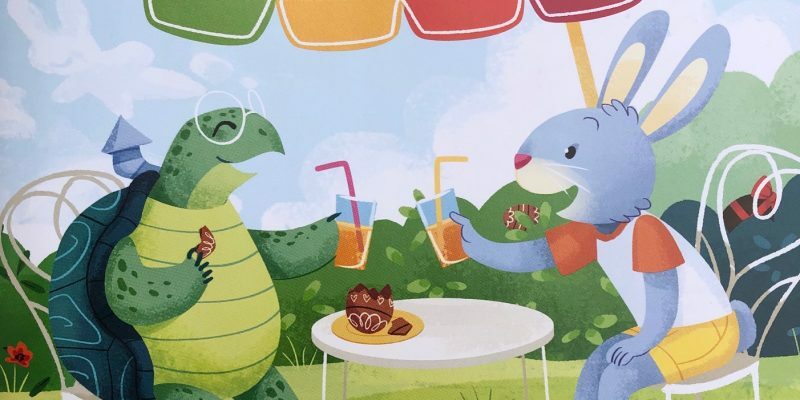 We have today signed the contracts, and meanwhile Maltese author Simone Inguanez is already at work translating this lovely story into Maltese. PS. … and of course a shout-out to Kristina Quintano, who introduced us! GUEST POST: Awaiting my second	English or Malti?